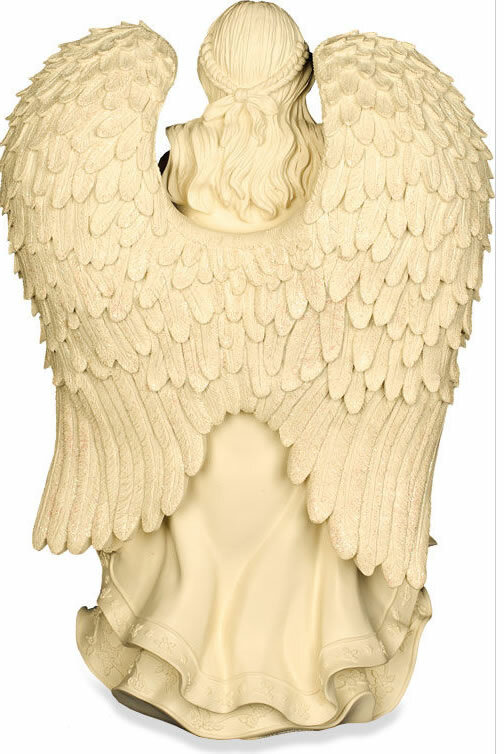 Wearing a flowing gown, this Serene Angel with detailed outstretched wings is a reminder that angels are always watching over us, guarding us, comforting us, and praying for us and our loved ones. 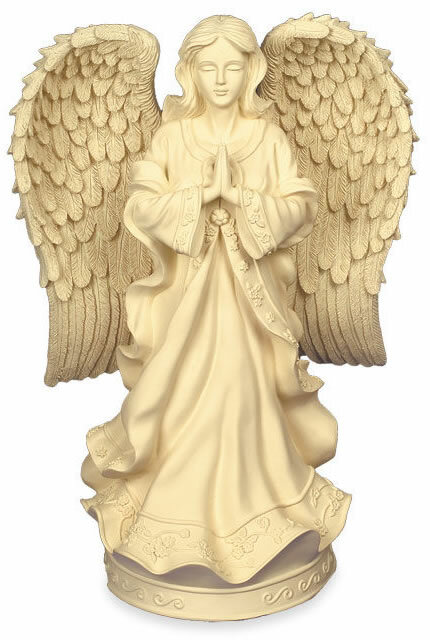 The angel is a beautiful rich creamy ivory color with a light dusting of angelic glitter on their wings. 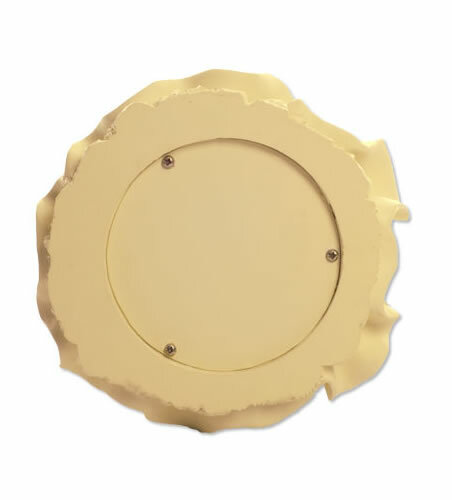 NOTE: THIS URN ONLY HOLDS 150 CUBIC INCHES AND IS ONLY LARGE ENOUGH FOR VERY PETITE ADULTS. This urn is adequate for most children under 5 feet tall and with a healthy weight under 120 lbs. See Dimensions below. 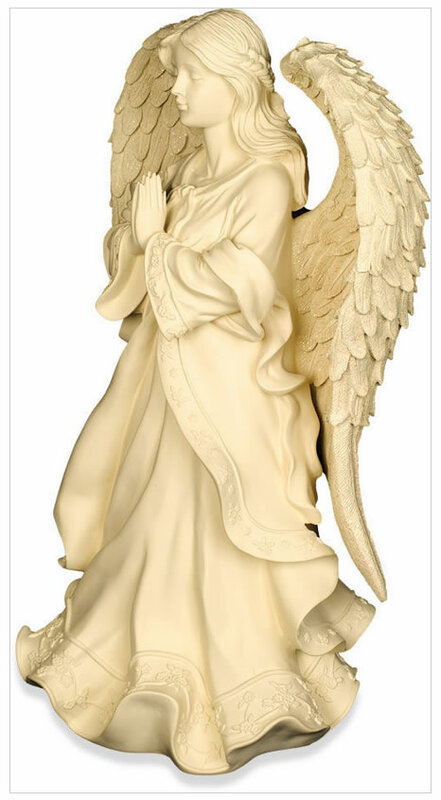 Crafted from high quality cold cast polystone, this graceful angel urn has the look and feel of carved stone, and the intricate details are readily apparent. ** Note: Shipping weights may be calculated using UPS Dimensional weight for air shipments which are not the actual physical weight. Single Urn actual weight is 11.1 Lbs.